Table Tennis national player, Seun Ajetunmobi is dead. 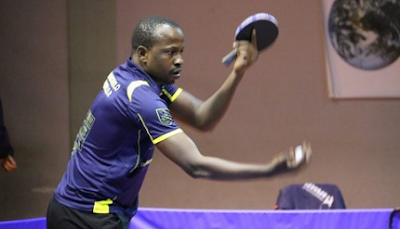 The Nigeria Table Tennis Federation (NTTF) confirmed the death, saying it occurred at the early hours of today after a domestic accident at his Lagos home. Aged 33, Ajetunmobi died at the hospital where he was receiving treatment. Ajetunmobi last international duty for Nigeria was at the 2015 African Games in Congo Brazzaville. The Italy-based athlete was crowned men’s singles champion at the annual Aso Championships held in Abuja in May. “On behalf of the President, the executive board members and the entire table tennis family in Nigeria, I regret to announce the sudden death of one of our National Team players – Seun Ajetunmobi, which sad event occurred early morning of June 1, 2018, in a Lagos hospital. He was survived by wife and children.